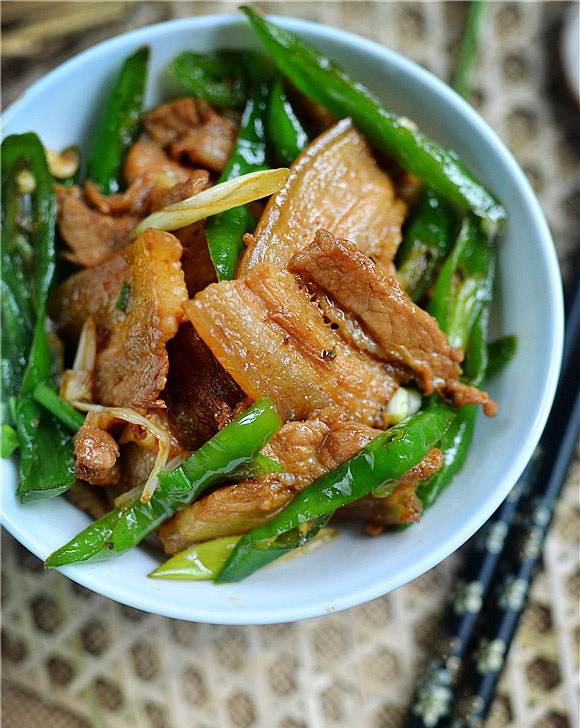 Hunan Pork is one of the oldest dishes in Hunan cuisine. 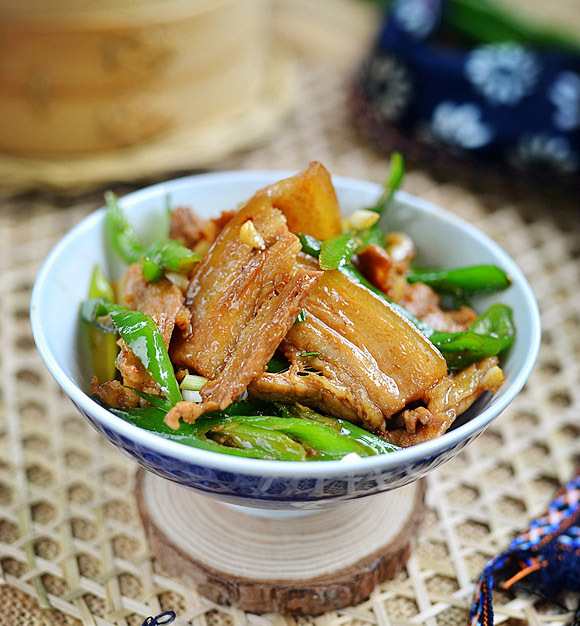 Because of the region’s vast variety of local ingredients, most of what is used in making their dishes are from local farmers, and Hunan restaurants are very popular. The unique dishes, even with the simplest ingredients and procedures, can make classics. Because of the simplicity of their dishes, everything is formed in a way that will compliment every fresh ingredient, especially the pork belly in this dish. 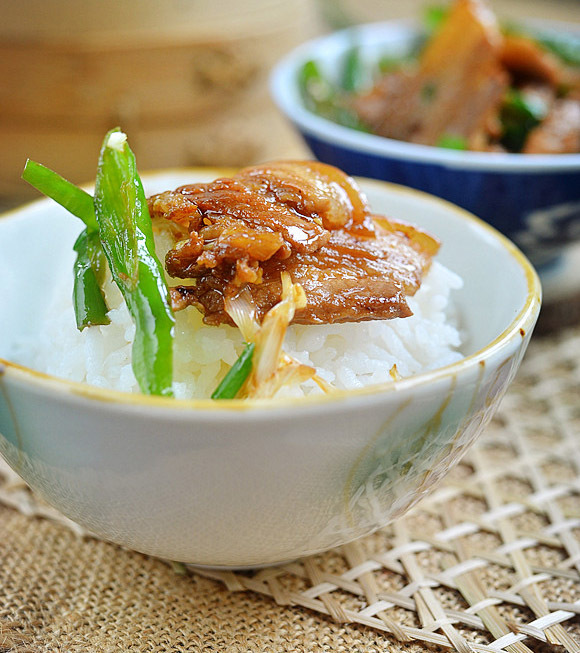 Today we are going to go over my method of preparing this dish so that you, too, can experience the delicacy of Hunan cuisine! 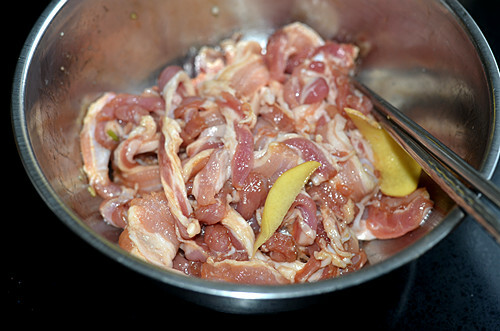 Step 1: Wash and pat dry the pork belly, cut into thin slices. Step 2: The meat is put into a bowl with cooking wine, light soy sauce, dark soy sauce, oyster sauce, ginger, salt and marinade for 10 minutes. 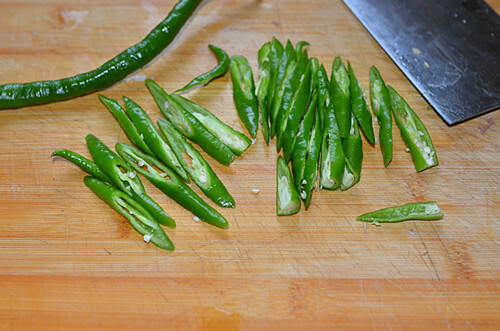 Step 3: Hangzhou pepper is washed and cut on a bias into large pieces. 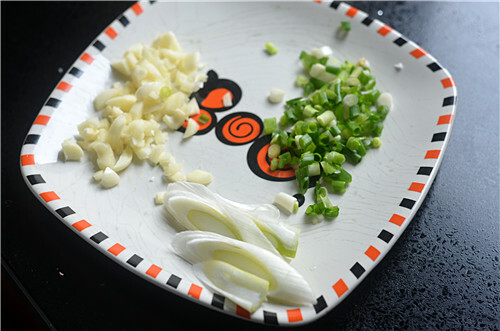 Step 4: Slice the spring onion, garlic cut into small pieces, green onions are cut into small sections. Add a pinch of salt, toss, and then set aside for later use. Step 6: Pour the oil in the pan. When the oil is almost at full temperature, add the pork belly and stir-fry. 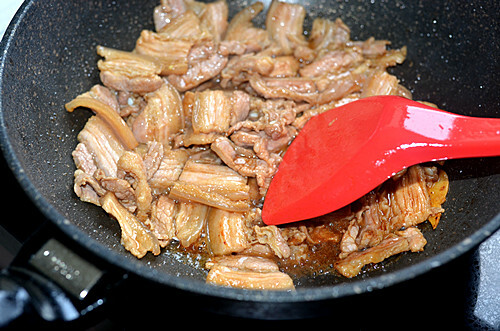 Step 7: Stir fry until the meat begins to curl. 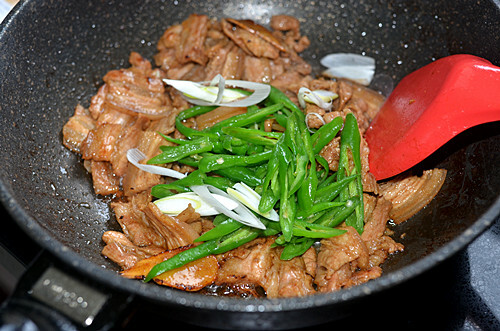 Add the peppers, spring onion and toss together. Step 8: Add 1 tsp of steamed fish oyster sauce and continue to stir fry. 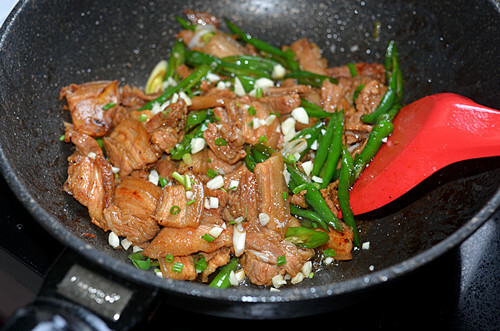 Step 9: Add minced garlic, chopped green onions, a little sesame oil, stir fry and toss together. 1. With the pork belly, it is best to choose with the skin on. The extra textures are delicious. 2. 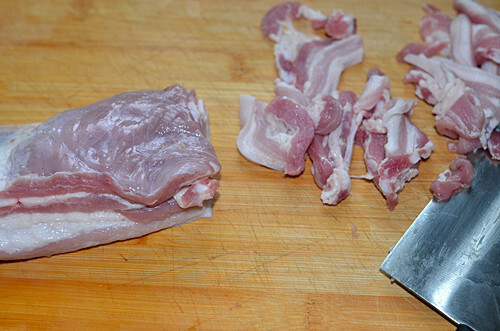 Pork belly should be cut as thin and evenly as possible. It can be put in the freezer for a bit to firm up a bit and it will be easier to cut. 3. 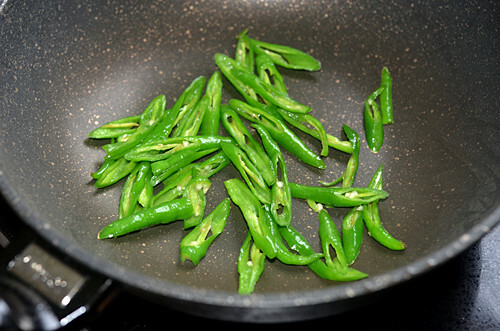 If you do not like very spicy foods, you can remove the seeds of the pepper, or replace it with green pepper. 4. 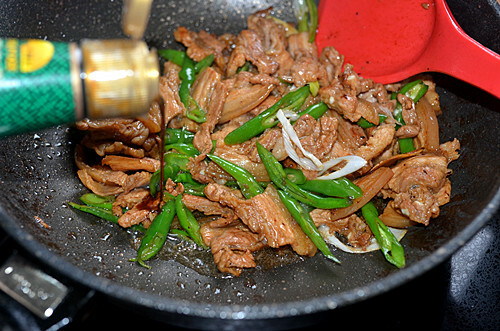 Does not use oil to stir fry Hangzhou pepper so that it doesn’t burn the flavors from the pepper.